We provide English to German translation by certified German translators with years of experience. Our translation is done with utmost professionalism and accuracy that not translates the source but conveys the true meaning of the content. Our German translators have native-language proficiency and well-versed in subject matters relating to specific industries such as Marketing, I.T, Legal, Tourism & Travel and more. Our translators are based both in Malaysia and in Singapore. VEQTA Translations is a language service provider in Malaysia that can provide localization and translation into most commercial languages. We have subject matter experts available for perfect German translation for most major industries. We adhere to localization best practices such as styleguides, glossaries, CAT Tools and full quality assurance processes. Our clients from Selangor, Johor, Sabah, Penang and Singapore rely on us for a high quality and accurate German translation of all types of documents and content. 1. German Main Translation Phase Our native German translators will be assigned on the project according to their experience with similar content. We only use experienced native translators who have been thoroughly vetted by language testing proficiency tests. 2. German Editing Once the translation has passed certain quality criteria, it’s passed to the Editor. The German Editor is a senior translator who will go through and polish the text, e.g correcting syntax, grammar and flow. 3. German Proof checkingAs a final quality assurance step, we will go through the German documents again to give it an overall quality check, check on typos, any missing content and correct any inconsistencies in the translation. We can provide German translation integrated into your marketing material, online platform, website, portal or system. German language translation requires Subject Matter Expertise for a perfect result. We provide German terminology experts who has worked in a related field of the source material in German. Voice over in German language and an array accents and other languages for cold or hot recording for broadcasting, e-learning modules or voice or video translation for corporate use. German is an important language to consider for translation of your marketing material. 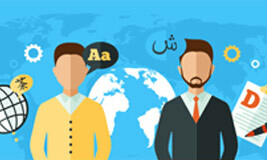 A high quality translation will give you the maximum impact of your marketing material! A dedicated team of German translators who combines Experience, Specialized Subject Matter Expertise with Translation Practices to deliver quality second to none. Our German Translation Services is second to none! We provide Certified German Translation by German Translators with experience in how to accurately translate German for most major industry fields. German is a major language in the world, being an official language in six countries, a recognized minority language in a number of other languages ranging from Brazil to Russia, and the fourth most widely used language on the web. The German Language is also the largest language in terms of the number of native speakers in the European Union. Estimates put the number of native German speakers at 95 million, with an addition 10-15 million speakers who speak it as a second language. German is a Germanic Language, and specifically a West Germanic language. Other languages in this family include English, Dutch, Afrikaans, and Yiddish. It has many similar characteristics to these other languages, with sentence order being mostly subject-verb-object, even though in some clauses, the verb may come at the end, which is a surprise to some English speakers who learn German as a second language. Other special characteristics of the German language include the case system denoting the grammatical role of words, the gender classification of nouns (with masculine, feminine, and neuter), and the length of some words due to the flexibility in combining them. A combination of a case system and flexible sentence rules allows for a wide variety of sentences and thus sometimes word order can have much more variation than other languages, such as with English. A unique characteristic of German and the German Sprachraum, the areas in which German is widely spoken, is the number of varieties of German that are spoken. German speakers distinguish between regional dialects, of which there are many, as well as a Standard German. In many regions, public signs contain both regional dialects and Standard German. Even with Standard German, there is a Standard German in Germany, one in Austria, and one in Switzerland, where there might be slight pronunciation, spelling, and vocabulary differences. While the writing system in German is not quite unique compared to other Western European languages, there are major characteristics in its historical development that should be taken note of. German uses the Latin alphabet, using the 26 letters of the basic alphabet (A-Z), like most Western European languages. However, there is also the Eszett, represented by the grapheme ß, historically a ligature of f and s. The eszett, however, is no longer used in Switzerland. Other characteristics that may differentiate German from other languages that use the Latin alphabet include the umlaut mark, which is a mark of two dots placed over vowels (usually, a, u and o to form ä, ü, and ö) and denotes a change in sound. The history of German dates back before the period of the Roman Empire, when Latin was a very influential language. While Latin acted as an overall official language, varieties of the German at that time, called Old High German, were used as an everyday language. As Latin was such a powerful language for political and commercial affairs, it influenced the evolution of German, and this can especially be seen in the adoption of many vocabulary items into the German language that is spoken today. Middle High German, the next defined period of evolution, is characterized by the expansion of both lands and regions that Germanic tribes occupied between the 10th century and the early 12th century. In turn, the number of German speakers also increased during this time. Notably, the German used at this time slowly started to replace Latin in certain official domains. However, it still mostly remained a colloquial language. What most scholars consider to be Modern German starting from 1350 with a period called the Early New High German period. An important characteristic of German during this period is its standardization as a written language, due to the advance of printing technology, through which it was able to displace Latin in terms of official matters. With the perceived need of printers and other controllers of media to reach local populations in a more direct fashion, the need to print material in a way that these populations can read and understand fueled the recognition of the varieties of German at this time as a more useful language. .This change of status can be exemplified by the translation of the Bible into German by Martin Luther, where German had also become recognized as a legitimate language of religion. With the rise of the Austrian Empire as embodied by the Habsburg Empire at the time, German was both the language of business and government. With this empire encompassing much of Central and Eastern Europe, the spread of German was prominent and its use signified status in terms of commerce, regardless of the region from which an individual stems. Around the 20th century, the standardization of German as a language continued. A few important occurrences helped influence this. First, a dictionary of the German language was published by the Brothers Grimm, the same individuals who were responsible for many fairy tales throughout the Western world. Second, the Duden Handbook was established and published. This handbook dictated conventionalized rules for both grammar and spelling. With such sources available, a number of orthographical (spelling, punctuation, and grammar) reforms started to standardize the written rules and conventions throughout the German Sprachraum as well. As noted above, the existence of many spelling rules can be confusing to the German learner. One of the reasons for such confusion is the fact that many effects of the reforms did not take hold until after 1996, and even then, remnants of older varieties of spelling can still be found, especially in German literature, which spans a long historical period. German nowadays remains an important language. In addition to it being an official language of six countries, it is either an official or major language in a number of international organizations. Moreover, the German Sprachraum does not include just European countries, but also communities existing on all continents. Most notably, there are large communities of German speakers in South Africa, North America, Brazil, and former German colonial territories such as Namibia.